More than 1000 people liked 4sync on Facebook! Dear friends! We are glad to inform you that the amount of those who “liked” 4sync on Facebook official page reached 1000 persons! Yessss!!! Even a little more! Help 4Sync become the Best Cloud Storage! 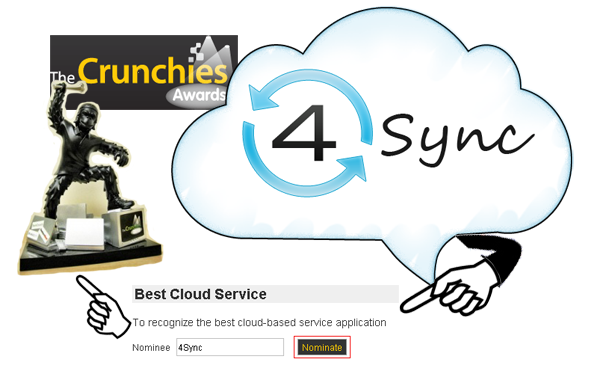 It’s high time to help your favourite service become the winner at the nomination The Best Cloud Service and get theCrunchies Awards 2011. 4Sync is worth of that, isn’t it? Now, how you can do that? We post a banner in this message. After clicking on it you’ll appear at the official theCrunchies Awards page. 4Sync is already in the list of services which are nominated, so you just need to push the button nominate. Guys, every your vote is very important for 4Sync now! Hope, you feel the convenience of using this service and now just will once more state your preference. 4Sync hopes for your votes and will be thankful for your support. Anyway, we will work to make your life with our service even more convenient! Don’t hesitate, just push and nominate! 4Sync is recognized as “100% Clean” app by Softpedia! 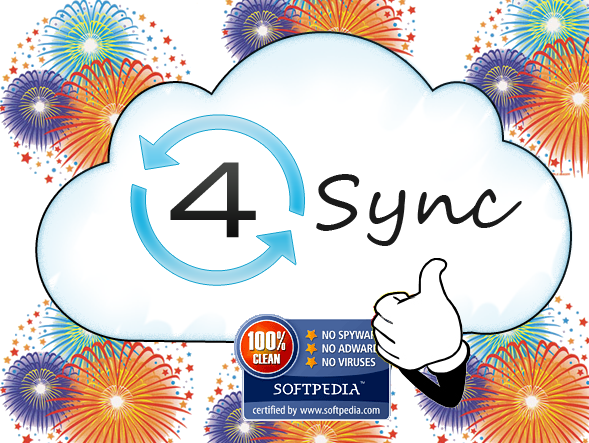 Softpedia, the free downloads encyclopedia, awarded 4Sync with a “100% Clean” title and recognized that 4Sync is absolutely free from any malware. Syncing apps changed our attitude to many problems. So, we decided to research how we reacted on some problems earlier and we do that now. The advantages of using 4Sync! A lot of users start understanding all the benefits of using an app just after they have already installed and started using it. Sometimes they need much time to be persuaded in necessity of using it. 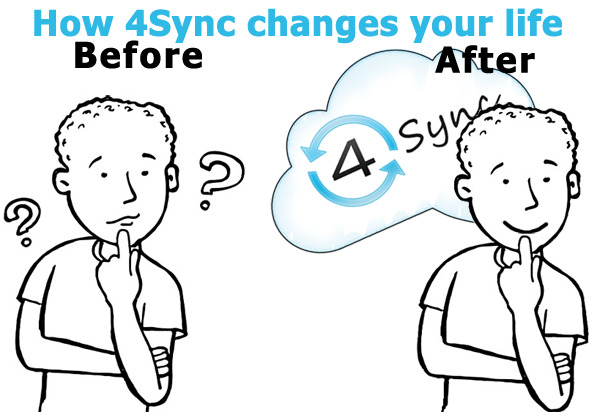 So, we decided to sum up all the advantages of data syncing with 4Sync. Meet the new updated 4Sync v.1.0.2. More convenient for newbies, more shareable, and that’s not all… Read more for the details. Children can cope with computers better than parents. But each mom or dad tries not to stand behind and master Internet space. How to improve communication with your family using 4 Sync? If you don’t use 4Sync, these easy tricks might persuade you to download 4Sync, which you can do here. So, what is necessary for you to do? Hey there! You think that you know all possible ways how to use 4Sync? Believe me, you are sooo wrong! There are gazillions of variants. Here I’m going to show you 5 more ways to advantage 4Sync service. I hope that you will enjoy them and … well … to be honest I hope you will actually use them! Get rid of viruses – use 4Sync! Statistics says that most of viruses which appear at our computers are brought there by portable storage devices. Harmful files are most likely to be transmitted by USB flash cards which we use so often. However, there is one solution to this problem – use 4Sync.